The most common type of logo, accounting for up to 70 percent of all created logos, is the one with a company name on it. Looking at such a logo, customers can see both the symbol and name of your brand. To create a balanced combination of image and text, you may need the help of a professional designer. This isn’t the only way to go, though. How can you create a high-quality logo and come up with a unique name for your business? This article will answer that question! We strongly believe that the name you choose for your brand can affect the success of your business. You have a lot to consider. Not only should your company name be unique (which is a challenge in itself), but it should also match your field of business. An equally important task is to come up with an easy-to-remember word or phrase, as customers won’t spend their time trying to recall your brand name. It must be catchy and evoke positive associations with your audience. New customers will never pay for something they don’t trust 100 percent. If you can’t decide what to name your company, we’re here to help. Following is a list of free logo names. Don’t hesitate to use them as you wish! Hurry or someone else will grab your dream brand name from under you! Another effective way to create a clever name for your new brand is to use AI-powered online name generators. You’ll find dozens of logo creation platforms for both English- and Russian-speaking audiences. We present to you a few time-tested platforms that are a pleasure to use. Browse the top services that will help you choose the right name for your future company, free of charge. Plus, you can check on whether the domain name is available for registration. The world-famous ecommerce platform offers a convenient tool to generate business names. The Shopify generator allows you to search original word combinations (based on your business field) and check the availability of domain names. This task-oriented service is designed primarily for young, innovative companies. It enables the selection of suitable brand and domain names using one or several keywords, and offers a wide range of results sorted into several categories (common, similar, new, fun, mix, SEO, etc.). This simple but functional website will generate thousands of potential brand names based on your keywords. Filter the results by category (short, business, tech, modern, etc. ), check on whether your selected option is available, and save it! Once you’ve chosen a suitable company name, it’s time to place it on a neat, stylish logo! Starting your own business is no walk in the park. Beginning entrepreneurs must consider many things, from finding a profitable market niche to obtaining licenses to searching for reliable business partners. Once you’ve selected your brand name, you must start working on your brand positioning strategy. When it comes to designing a corporate emblem, the Logaster logo maker is your best choice. Logaster will save you lots of time and money! A corporate identity is the most important aspect of business promotion. With a strong visual image, you can make your business more noticeable and appealing to your target audience. In addition, a unique brand identity portrays your corporate ideas and values, improves your brand image, and takes your ad campaigns to a new level. Along with a logo and company name, a consistent corporate identity features vital elements such as a color palette, typography, etc. 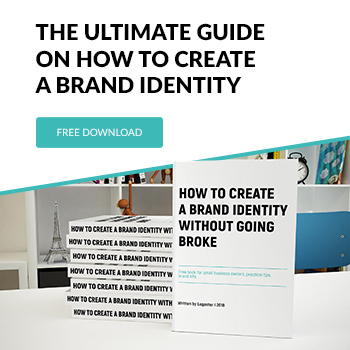 Plus, you can create an all-in-one brand identity kit that includes business cards, letterheads, calendars, envelopes, and other corporate items. Large companies spend a huge amount of money on their corporate identities and use the services of high-profile design bureaus. However, aspiring entrepreneurs often cannot afford these services. This leads them to look for alternative ways to create their corporate designs. This is where graphic design tools come into play. The best thing about an online logo generator is that you don’t need any special talents to master it. 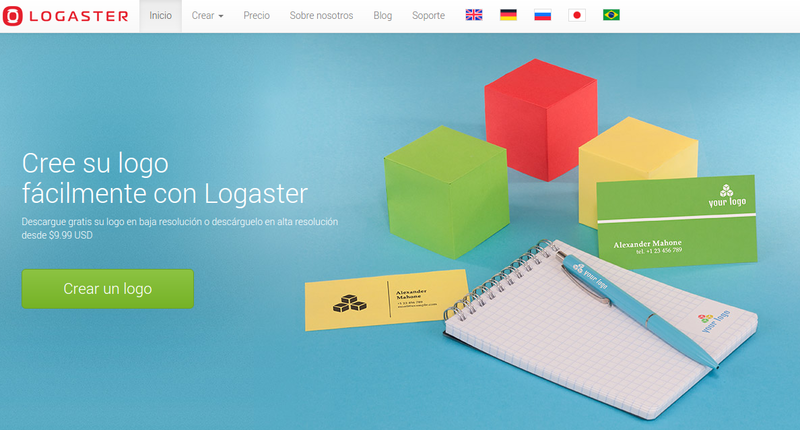 With Logaster, you can either select a ready-to-use logo, or create one from scratch by using the platform’s functionalities. Simply enter your company name, select your industry, and browse hundreds of stunning images. Edit your selected option (font, color, icon, text) and download it to your laptop in any format you like (PNG, PDF, JPEG, or SVG). Most companies place their names on their emblems, and rightly so. As the central element of your brand identity, a logo with a company name on it can have a great impact on your project. We hope that our article has taken you a step closer towards a dream logo that will make your business shine!